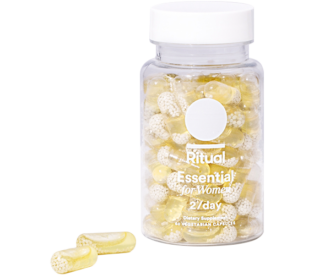 Ritual is vitamin supplement company with women’s daily vitamin called Essential for Women. I’d previously taken Ritual for 30 days about a year ago. But recently, I haven’t been feeling quite like the boss babe I pride myself on being. So because I had a spare bottle of Ritual in my medicine cabinet, I decided to re-introduce the women’s multi into my routine just to see how I’d feel if I stuck with it a little longer. But whether it’s drinking more water, calling mom every week, or curbing your snooze-button weakness, starting a healthy habit and making it stick can be touch. So before I embarked on my latest wellness undertaking, I did a little research on habit making and keeping. First, a little more info on how and why I added the multi to my morning routine. Then, I’ll be sharing whether or not I could really feel a difference after adding Ritual to my routine for a full 90 day. You should walk away from this article with a better understanding on what Ritual is, what my user experience with the product was, plus the pro’s and con’s I think you should think about before investing. Personally, my morning routine—the one I’ve had for close to a year now—starts everyday at around 5:30am. First, I throw on my warmest sweatshirt and sweatpants (which hilariously are holiday themed) and do a simple skin care regime before going out to get my roommate and I coffee. Then, I quickly tidy my work-space, refill my water bottle, look at my daily to-do, and nosh on an apple and spoonful of almond butter before for getting to work. When I first went freelance, I created this routine to manage my tendency to sleep in. Plus, it helps position my entire day towards success and productivity. While my routine has and continues to work for me, I wanted to accessorize my health-focused morning routine with a multivitamin… just to see if I’d feel any different. To find on if I did, keep scrolling. Ritual is a female-founded company that takes a less-is-more, and transparency-is-best approach to supplements. 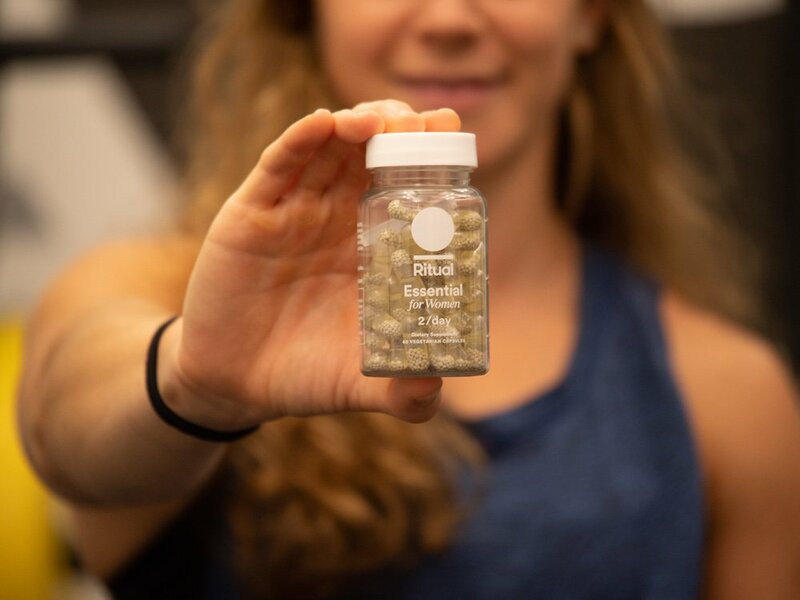 When the founder (Kat Schneider) noticed with alarm, how many additives and synthetic ingredients were in her prenatal supplements, she decided to put together a team of researchers to create a women’s supplement without all the extra (and often, hard to pronounce) gunk, and instead, stick with ingredients that are simple, traceable, and affordable. The resulting product is a capsule of the nine ingredients the Ritual team determined most women are missing. Check out my full Ritual Essential for Women review, where you can read more about those nine ingredients and my experience—including the pros and the cons — taking Ritual Essential for Women every morning for three months. Plus, anything else you’d want to know before deciding whether or not the multivitamin is for you. The story goes that Rituals’ in-house team of scientists combed through thousands of studies to find out what nutrients women are most commonly lacking and which form of those nutrients the body is best able to absorb those nutrients in. The result is is a good looking multi made up of only the top nine nutrients that the company has declared essential to women (hence the name). (They’re also gluten-free and vegan, scented with peppermint, and Instagrammable—a millennial-minded multi, if you will). What are those ingredients? Omega-3, magnesium, iron, folate, and boron, plus vitamins B12, D3, K2, and E… and nothing else. To be clear: every user gets the exact same ingredients and product, as opposed to a few other women’s multivitamin brands on the market like Care/of— which are customized. On Ritual’s website, they provide info about where each ingredient is from, why the ingredient is wet or dry, what makes the ingredient so essential. Note: Multivitamins shouldn’t be seen as replacements for a healthy diet or medication. It’s always a good idea to talk to your doctor before beginning a new fitness, nutritional, and/or supplement routine. Individual needs for vitamins and minerals will vary. As I mentioned, Ritual—as its aptly named—has been a part of my morning ritual (wink) for the last three months. Below I’ll highlight a few potential pro’s and con’s based on my personal experience. I decided to take the multivitamin with my morning scoop of nut butter, so I kept it in my pantry right next to the jar. While Ritual says you can take the daily two tablets with or without food, I decided to take them with food because I have a sensitive stomach and have had heartburn and acid stomach when I’ve taken supplements on an empty stomach in the past. (I’ve also heard that it’s best to take vitamins, especially fat-soluble vitamins, with a fat source to help boost bioavailability, or absorption). The best part of swallowing down the vitamins after noshing on PB? The minty scent and flavor of the pill—the result of a food-grade bottle-insert that’s infused with pure peppermint that keep your vitamins smelling minty fresh—helped get rid of any nutty aftertaste. 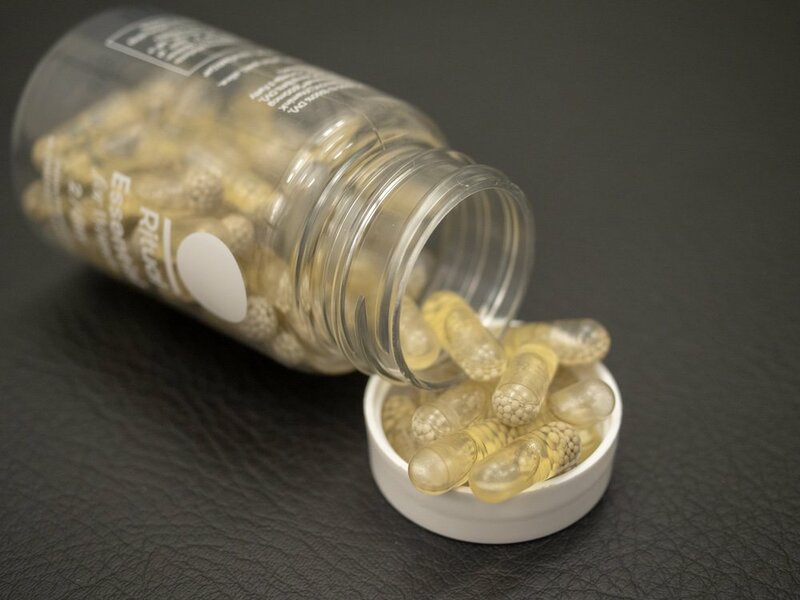 Anyone’s who has ever taken an omega-3 supplement in the past knows that the ingredient can cause an ocean-meets-garbage odor (don’t @ me, it’s true), which the minty insert also masked. Yep, that insert is the real MVP. I will also say that instead of being jolly-rancher sized and chalky like a lot of multivitamins on the market, Ritual went down pretty easily, probably thanks to the smooth encasing. 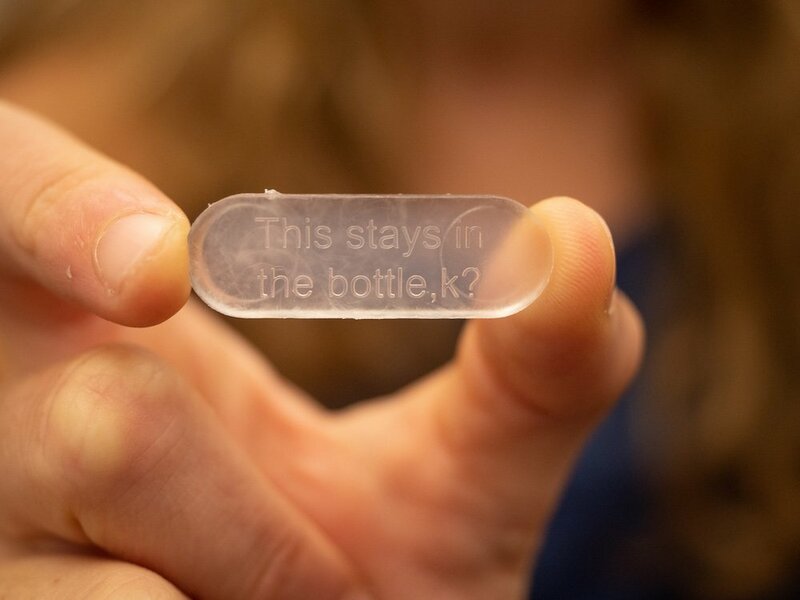 However, there are two pills (instead of, you know, one) and they’re about the size of Advil or a Mike & Ike—which means taking them could be tricky for you if you’ve had difficulty swallowing a vitamins or medicine in the past. Another perk is that it didn’t upset my stomach. As I mentioned, I have some digestive issues, so usually if something could cause indigestion, it does. 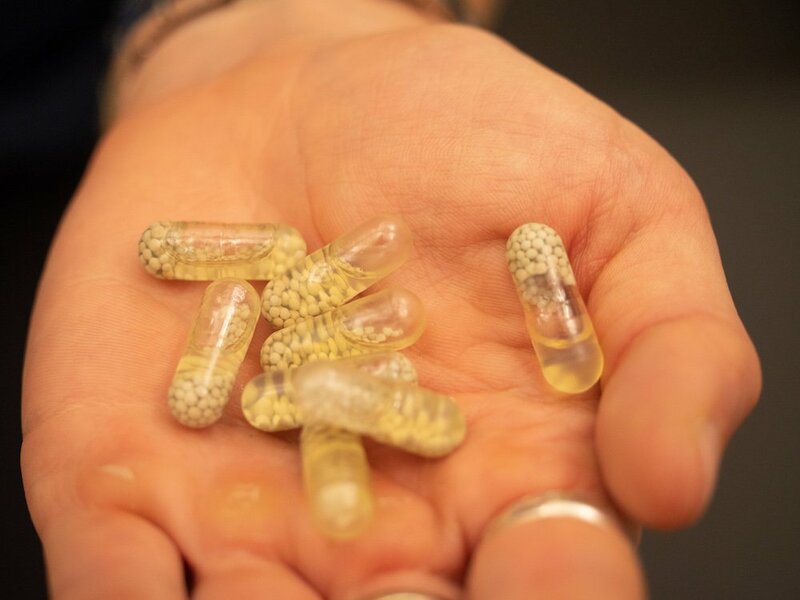 Ritual uses a vegan, delayed-release capsule which they say allows the pills to bypasses the stomach to prevent nausea, and also to ensures maximum absorption of the nutrients. I never once got nauseous from the pill, so I’ll assume that’s why. This is a biggie for me, especially because Ritual has iron, which can be harsh on the stomach. I’m no scientists, but Ritual credits this to the form of iron they use, called, “ferrous bisglycinate”. Real talk: Ritual also didn’t turn my pee bright yellow. I know, it might be TMI, but when you take a supplement, if you’re body isn’t properly absorbing it, you’ll excrete it. And why would you spend money on any wellness-hack that isn’t actually working? You wouldn’t. (I’m looking at you cryotherapy and crystals).While I can’t be certain that my body was actually absorbing the nine nutrients without comparing a before and after blood panel of my bodies vitamin levels, normal-colored pee is a good sign. I know what you’re wondering: After taking Ritual every morning every day for three consecutive months, do I feel any different? Sure, I feel different. I’m way less stressed than I was three months ago. Could that be from the vitamin D, vitamin B12, and magnesium, which have all been shown to boost mood? Absolutely. But likely, it’s a combo of those three nutrients plus the fact that I’ve been reading “Journey To The Heart: Daily Meditations On The Path To Freeing Your Soul” by Melody Beattie every evening before bed, am finally getting over my ex, and have reduced the amount of time I spend on social media (BTW, I’m a huge of Instagram’s new time-tracking feature). I also feel less fatigued! Similarly, that could be from Ritual or it could be because I’ve been routinely getting 8 to 9 hours of sleep every night (as opposed to just a few nights a week, like I was this summer). Aside from less stress and fatigue, I don’t feel wildly different. Considering the fact that 1) I eat a wide variety of foods and therefore likely already got some amount of all the nine nutrients before taking Ritual and 2) It’s just a multivitamin, this is completely normal. It bears emphasizing, Ritual is a multivitamin. It’s not a cup of coffee or shot of espresso. It’s not an energy drink. It’s not pre-workout. Heck, it isn’t even a massage or 3-minute meditation. Meaning, it isn’t designed to have an immediate effect. According to Ritual’s website, it could take anywhere from 2 weeks for 4 months for some people to feel a difference, while others won’t any difference at all. The determining factor, of course, is how deficient you were (or if you were) in the nine nutrients before adding the multi to your routine. Speaking of payment, Ritual follows a subscription plan, which means each month you’re automatically charged the monthly fee and sent a one-month supply of the product. While if you aren’t happy after your first bottle, Ritual will pick up the tab—they have a happiness guarantee—that means that if after your first month you want to cancel it… you have to actually cancel, or you’ll get charged. That could be a con for some people (especially folks who are commitment-phobic). If you do, in fact, decide to cancel your subscription, you can’t just do it online (online you can only delay your delivery date which TBH is annoying). You have to call Ritual HQ to cancel. I tried cancelling my subscription just to see, and the whole call took less than 3 minutes and the person on the other end didn’t ask any probing follow-up questions (bless), but that is 3 minutes out of your day that you’ll never get back. I liked adding Ritual to my morning routine. It added a dose of minty-pizzazz, if you will, to my am. It has only nine ingredients, which their research found most women are lacking, some solid potential benefits—especially for women with any nutrient deficiency in the nine ingredients, and at 1 dollar a day it feels like a fair price. If you’re looking for a supplement that guarantees immediate benefits (like pre-workout), this multivitamin probably isn’t for you. And if you’re crummy at cancelling subscriptions and are commitment-shy, or are bad at swallowing pills, this probably isn’t the best women’s multivitamin for you, either. But at the end of the day, I don’t see any major drawbacks in adding Ritual to your routine—it all depends on what exactly you’re hoping to get out of taking it. Fournier, M., d’Arripe-Longueville, F., Rovere, C., Easthope, C. S., Schwabe, L., El Methni, J., & Radel, R. (2017). Effects of circadian cortisol on the development of a health habit. Health Psychology, 36(11), 1059-1064. Maltz, Maxwell, and Dan S. Kennedy. The New Psycho-Cybernetics: the Original Science of Self-Improvement and Success That Has Changed the Lives of 30 Million People. Souvenir Press, 2012. This is not a complete multiple vitamin/mineral. Some people could consider this misleading.. No one really knows what happens if you are not getting all the vitamins and minerals that are naturally occuring in food. This type of vitamin might lead to deficiencies, which could cause Ritual legal problems in the future.